Nature's Archive Blog: Hawaiian Beet Webworm Moth...In Arizona! Moths can be fascinating creatures, but are often casually dismissed by observers as nighttime nuisances (or garden invaders when their caterpillars are considered). Some moths have striking colors or interesting patterns, such as the Io Moth and some can even mimic hummingbirds, such as the White-lined Sphinx Moth. This moth is relatively drab by comparison - the Hawaiian Beet Webworm. The Hawaiian Beet Webworm Moth can be found through much of North America, from Ontario to Florida, and even here in Arizona. They cannot overwinter in the northern areas of the region, so only expect to see them late in the season after they've had time to migrate northward. 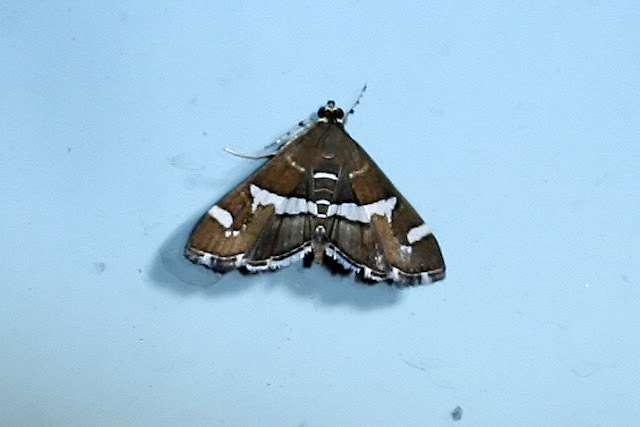 In fact, this moth can be found in many warmer areas of the world, including Hawaii. The caterpillars can be considered pests of some leafy green crops, like spinach. Though I've had trouble determining what host plants exist near my yard that it would be enjoying. Perhaps a neighbor's garden?